Are they necessary for protecting lighter players? A study of injuries occurring from 2009 to 2011 in American Youth Football, Inc. indicates that the risks of injuries to lighter players is about the same in the weighted (age groups and maximum weights for all players), modified (age groups and maximum weights for ball carriers only), and unlimited (age groups only) divisions. This is the most recent study to shed light on the hotly debated topic within the youth tackle football community on the pros and cons of weighted vs. unlimited divisions. A prior Mayo Clinic Study concluded that the number one predictor of injuries in youth tackle football is age and that weight groups would not appear to protect players. The study found that the risk of injury to an eighth grader was four times the risk of injury to a fourth grader. Therefore, the higher the age, the higher the chance of injury, and as a result, correct age groupings are critical to limiting injuries. 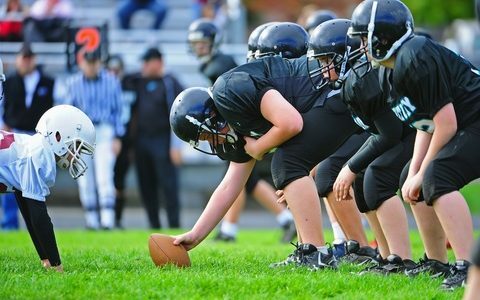 The American Youth Football, Inc. study tracked the progression of injuries to players of various weight categories through the weighted, modified, and unlimited divisions. The percentage of total injuries to lighter players (both below average and significantly below average) was about the same regardless of the division in which they participated. The percentage of total injuries to below average weight players ranged from 9.25% (weighted) to 11.50% (modified) to 8.96% (unlimited). The percentage of total injuries to significantly below average weight players ranged from 0.00% (weighted) to .30% (modified) to .71% (unlimited). Most scientists and doctors who have studied the issue speculate that older players are injured more frequently because they run faster, hit harder, and are more aggressive. However, youth players who are larger don’t necessarily impact with more force if they aren’t fast and strong. American Youth Football, Inc. and Sadler Sports Insurance are dedicated to giving back to the youth football and cheer community with critical studies on safety issues that impact the quality of the sports experience. All participants in the endorsed AYF Accident/General Liability insurance plan contribute data to these important studies. See the full version of American Youth Football study on injuries to lighter players in weighted vs modified vs unlimited divisions. And you can read our earlier article debating weighted vs unlimited and a link to the Mayo Clinic study.